How large is the driveway sealcoating market? Over 60% of all pavement is asphalt. Millions and millions of tons of new asphalt are laid down every year. On average, in a city with 50,000 homes, about 30,000 will have asphalt driveways. These driveways will all require some type of asphalt maintenance on a regular basis. How long does it take to sealcoat a driveway? Proper equipment and the right tools are the keys to finishing a job quickly and professionally. 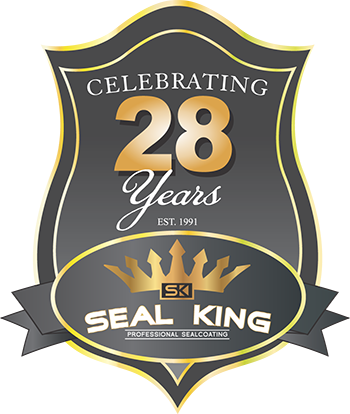 Seal King has custom fabricated tools and equipment to enable you to sealcoat an average 800 sq. ft. driveway in about 30 – 45 minutes. How many driveways can be done in one day? In one eight hour day, 6-8 driveways can be fully sealcoated and repaired. However, if the driveways are located close together 8-10 can be completed. The record number of driveways for one crew in one day at Seal King is 21. What is the difference between Seal King and the competition? 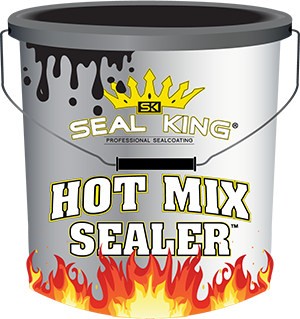 Seal King has a 10 point check list system that covers procedures necessary to complete a thorough sealcoating and repair job. This system also gives customers a one-price guarantee. We have set prices for average sized driveways which falls into our 2 or 3 car price structure. This cuts down on estimating time, allowing extra time for sealcoating, and making money. How much money can a franchisee make in one season? The pavement industry is enormous and is expected to take huge leaps in the future. Due to the high cost of driveway replacement, sealcoating and repair is the most cost effective. The sky is the limit. How much you want to work, and how hard you are willing to work, determines the amount of money that you make. Seal King will provide you with all the tools and training necessary to be successful in the driveway maintenance industry. Can a franchisee charge more than the standard set pricing? If the driveway is larger than our standard rate then yes, you can adjust the price accordingly. Extra charge brochures are provided for this situation. If the driveway is in terrible condition, upon checking with the customer, additional charges may be applied. The initial franchise fee is $20,000.00 and is payable at the signing of the franchise agreement. What is the fee for ongoing support or royalty fees? The fee is only 7% of gross receipts for services rendered under the Seal King name.